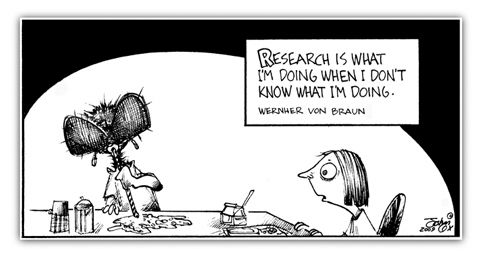 "Research is what I do when I don't know what else to do." It's Von Braun, man. Go figure. Sugarwater? Neat! My Mom makes me drink milk. I like it the way VB said it. If he doesn't know what he's doing he's going to experiment! And boy did he blow up a lot of rockets. Looks like when Bart went through the teleporter with the fly. Bart? as in Simpson? UHHHMM? Never mind. I was going to say something but decided not to. Forget it. Ya, that was really kool when they came up with that gag for the Halloween show. This page contains a single entry from the blog posted on March 30, 2009 4:47 PM. The previous post in this blog was Watercolor Study.